Jussie Smollett has been freed after posting $10,000 and agreeing to surrender his passport at a bond hearing where he was supported by his family and prosecutors shared more details of his relationship with the two Nigerian brothers he allegedly paid to stage an attack on him in the hoped would boost his profile. 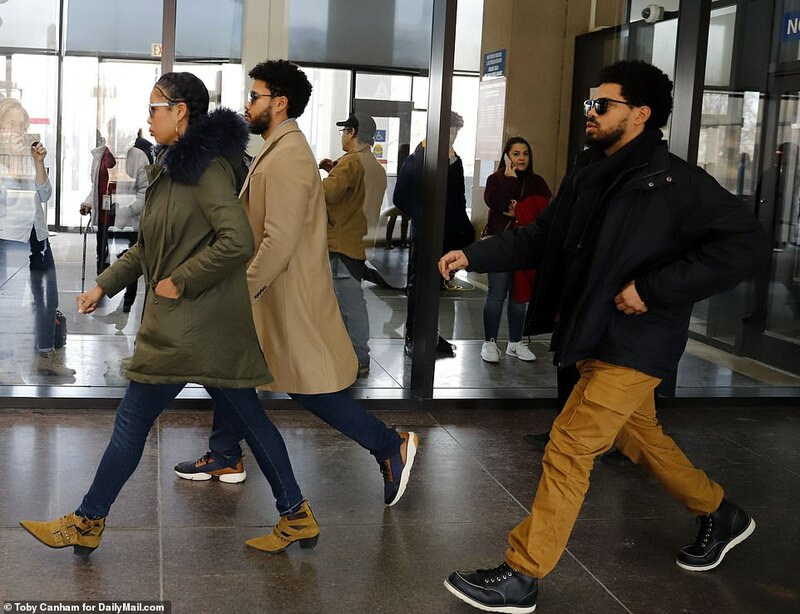 Three of the actor's five famous siblings, Jurnee, Jocqui and Jake, were pictured arriving at the Cook County Criminal Court before his bond hearing wearing sunglasses. They were later joined by their brother Jojo but their other sister Jurnee and mother Janet were not seen. They left the court before him, fighting their way through a scrum of photographers to get into a waiting van parked outside. 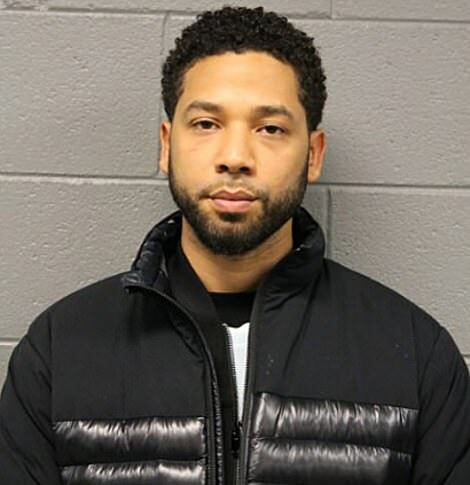 Smollett's bail was set at $100,000 - the amount he gets paid for one episode of Empire. He paid 10 percent of it to win back his freedom and will return to court on March 14 to face a felony charge of filing a false police report. 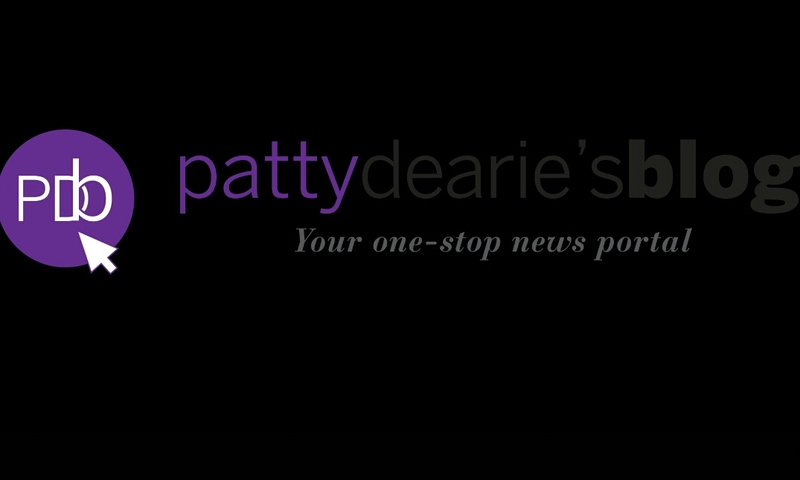 After the hearing, prosecutors gave a detailed description of how he put the hoax together. Police say he knew Abel Osundairo, the older brother, because he bought 'designer drugs' from him. In text messages that predate the hoax attack, he asked Abel for 'Molly' - the street name for ecstasy - multiple times. On January 25, he convinced Abel and his brother Ola to 'simulate' an attack on him, giving them specific instructions about which words to use and how to rough him up but not hurt him too severely. Smollett took them to the location where he wanted the attack to happen outside his apartment, according to prosecutors, and even pointed to a surveillance camera he believed would capture it. The claims came after a blistering press conference during which furious police bosses alleged that he mailed himself a threatening letter then staged a hoax attack because he was unhappy with his $1.8million Empire salary. After his bail hearing, the state's attorney gave a press conference where she described in painstaking detail how the hoax came together. 'He stated that he wanted the brothers to catch his attention by callig him an Empire f****t Empire n****r. He detailed that he wanted Abel to attack him but not to hurt him too badly and give him a chance to fight back. While being interviewed, he not only described the attack but claimed to have received a phone call on January 26 from someone who said 'hey you little f****' and hung up. He said the call happened near a camera and that it captured the attack. It was the same camera he pointed out to the brothers in the hope that it would capture their staged ambush. 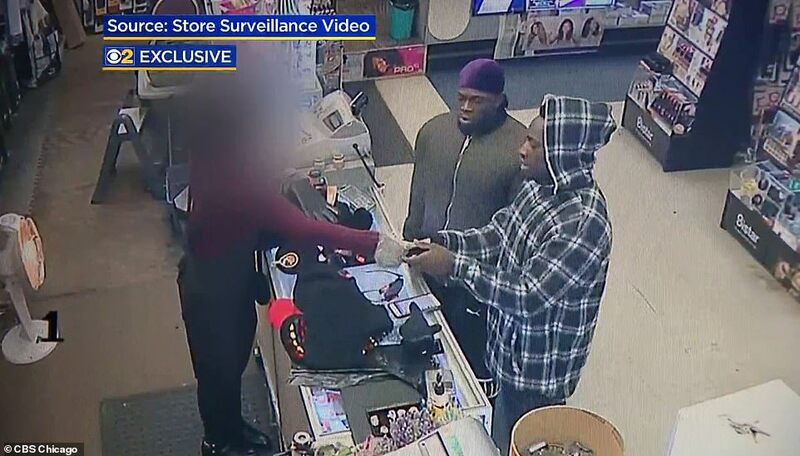 Chicago Police Department Superintendent Eddie T. Johnson abhorred him as a 'troubled young man' who has 'taken advantage of the pain and anger of racism to further his career' by allegedly lying that he was attacked by racist and homophobic assailants on January 29. Smollett makes $100,000 per episode on Empire, according to an associate who spoke to DailyMail.com, and there are 18 episodes in the current season which earns him $1.8million. He also has a record deal with Columbia Records but, according to police, was 'dissatisfied' and wanted to boost his profile. 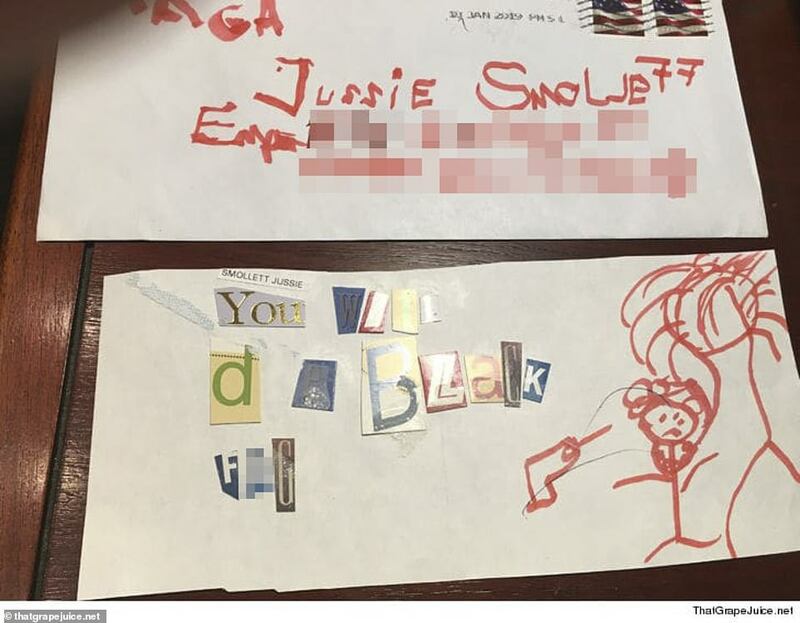 When police learned that Smollett's motive was to get more money, it 'p****d everybody off', Superintendent Johnson said, adding that Smollett's repeated 'lies' were 'shameful' and 'despicable'. 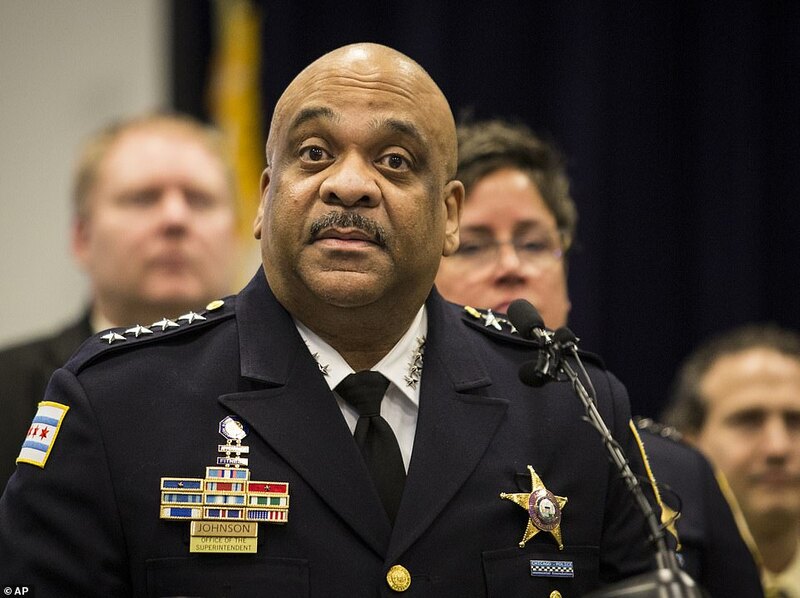 He called for 'absolute justice' which he said amounted to Smollett apologizing and offering to pay for the police resources he wasted. 20th Century Fox, which defended the actor on Wednesday, is now 'considering its options' in light of his arrest. 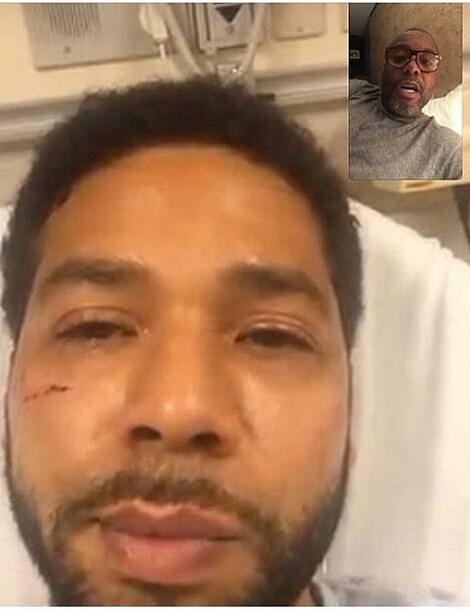 President Trump has also called for Smollett to apologize for making it appear as though he was being targeted by one of his supporters.